For areas without power supply sources. Suited for heavy duty work in the construction industry. 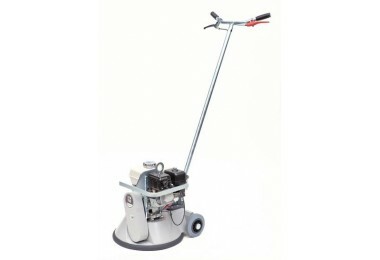 An allpurpose solution for concrete smoothing, grinding, cleaning and weed control. Grinding, cleaning, smoothingof concrete surfaces, weed control. Stepless speed control from 0–180 r.p.m.